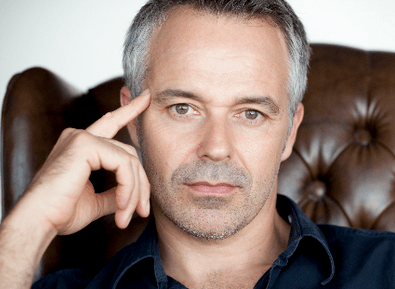 Smoothfm presenter Cameron Daddo is joining Marcia Hines as a host and face of the STV music channel, SMOOTH. SMOOTH is a television extension of Australia’s fastest growing radio brand, dmg Radio’s smoothfm, and is the ultimate music destination, an easy place to relax and escape. Already an evening presenter for smoothfm, Daddo adds Foxtel hosting duties to his role as he joins Marcia Hines as a face of the adult contemporary music channel. Daddo has spent the past 20 years working between Australia and Los Angeles. He is also an accomplished musician, with his debut album A Long Goodbye (1994) reaching #2 on the Australian Country Music charts. In 2011 he released Ten Songs… And Change. The changes to the music offering on Foxtel also include two new MTV channels, MTV Dance and MTV Music (replacing MTV Classic, MTV Hits and MTV Live), and a revamp of the audio music service, Foxtel Tunes. The on-air line up at MAX is also growing with the addition of music legend Molly Meldrum to the hosting team in 2014. SMOOTH, MTV Music and MTV Dance join Foxtel’s stable of music channels alongside popular brands Channel [V], MAX, [V] HITS and Country Music Channel, ensuring the platform offers something for all music lovers. Max 90s Hits – Adds a new decade of hits beyond our current 70s and 80s favourites. This 90s-era music channel pushes the nostalgia button for people looking for their 90s fix. [V] Buzz – Replacing Faster Louder, [V] Buzz aligns Foxtel’s [V] music channels and features the best indie, undiscovered and upcoming music. [V] Pop – Takes the place of Chart Countdown with a new genre that complements [V] Rock, [V] Urban and MTV Dance. CMC Rocks – is a complementary channel brand that seamlessly blends the audio music experience with its CMC TV channel counterpart.